Welcome to River Crossing Avondale New Website! 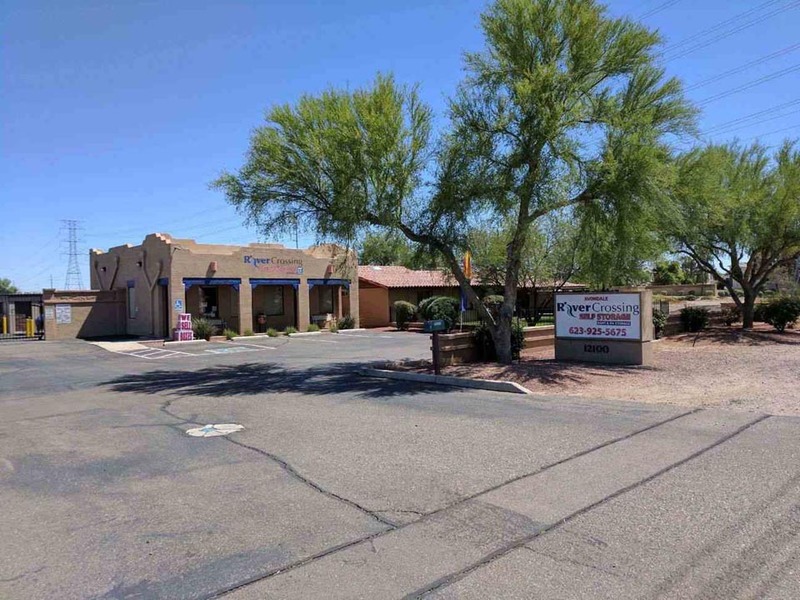 Avondale, AZ has experienced rapid growth since 1980. This city offers growing families a suburban retreat with quick and convenient access to Phoenix. Consistent sunshine and a convenient location await residents in Avondale. 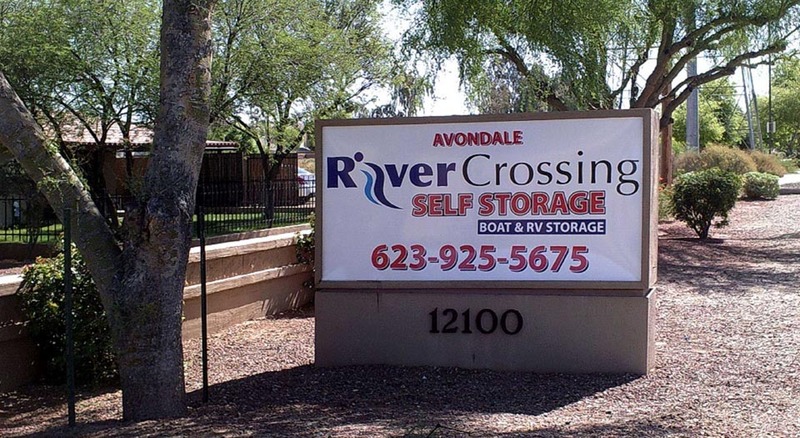 Whether you’re moving to Avondale or have been a long-time local, River Crossing Self Storage, managed by Total Storage Solutions, has a storage unit for you. Our month-to-month leases accommodate short-term or long-term storage needs, and our online payment system makes storing your belongings even more convenient. Extended access hours – along with drive-up and ground floor units – give you the ability to easily get in and out of your unit on your own time. 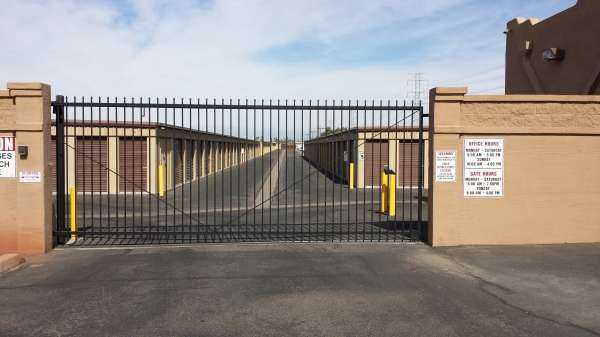 That, along with our resident manager, 24/7 security monitoring, and fully-fenced perimeter give you peace of mind. 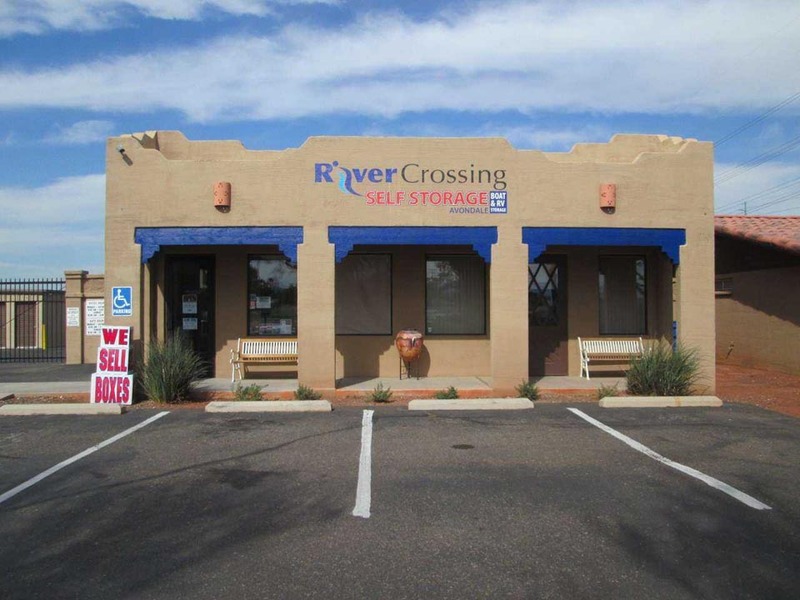 Find the perfect unit for your storage needs with River Crossing Self Storage! River Crossing is a wonderful place to store your things. Very safe and secure. And the staff is top notch. Harry was extremely helpful helping my wife and myself since we just moved to the area and needed a storage unit for our belongings. Very friendly people to deal with. I highly recommend this location. Outstanding Customer Service - Harry & Lonnie made our moving experience much more enjoyable! They provided a truck and were able to help us in all different directions. This kind of service is rare theses days. If we had to score them between one and 10 they get a 12! My family needed to move our things into storage all of a sudden. I stopped in and spoke with Harry about renting a storage and he was very helpful from beginning to end. We got our storage space and were able to use their moving truck which is included with the move in. Very affordable and very friendly. When Harry said to call him if we needed anything he really meant that. He went above and beyond. I highly recommend River Crossing Storage. Kristi Crowley is the best site manager I've ever had the pleasure of working with, in 30 years of using commercial storage facilities. She's extremely pro-active, gets out in front of issues before the become issues. Equally as important, she treats customers like family. Every time I speak with Kristi on the phone or when I go into the office, she's so warm & personable, it feels as if I'm talking with a good friend. She's just the best. Beyond that, River Crossing has the best pricing in the area by FAR!!! 5-star pricing & best customer service, and if I could give Kristi personally TEN stars, I'd do it! Time for an update - We've been renting here continuously since April 2014. EXCELLENT customer service, easy access, secure access and facilities. Monitored 24/7 and managers live on site. We highly recommend River Crossing Storage. The manager was so extremely nice and accommodating! Surrounded by an 8 foot wall and very caring management, this definitely felt like the best And safest place to leave my things for an extended period of time. I would highly recommend this site to anyone who is looking for a place to store their things. My sister recommended this storage place they really helped her out in a pinch so when I decided that I had to put my stuff in storage I didn't even hesitate to choose River Crossing Storage they greeted me with a smile and very courteous at that. The gentleman at the office really helped me out on choosing the right size of unit I needed, and as well of the convenience of using the company truck to be able to move all my item in storage because I don't have a truck to move my items. I was very pleased with the service I received thank you. Fast , easy and helpful. Getting a unit here was easier than I could have imagined and the gentleman who helped was great. Highly recommend to anyone who needs storage in the area. Carol and Harry are wonderful down to earth people! We have been using their services for 2 years now and have not been disappointed. They are very helpful and accommodating to your needs. I would definitely recommend using their storage company. Harry & Carol are awesome. Very knowledgeable & helpful. The facility is very clean and organized. Thank you very much for your help. I have virtually lived with storage facilities since moving to the valley 30 years ago. From the east to west valley I have experienced all sorts of storage facilities, good and bad. Until meeting Harry and Carol at River Crossing I had never found one as personable, friendly, creative, and accommodating to my needs. Harry and Carol will work with you through thick and thin, doing whatever they can to help you, whereas other facilities just don\'t care. Give Harry and Carol a chance to help you with your storage needs. They are very professional and knowledgeable. Harry and Carol at River Crossing are competitive, have well kept units, maintain easy access to the units, and are well supplied. Give them a chance! You won\'t regret it! Extremely fabulous customer service. They went out of their way to meet our needs over the last few months. I will highly recommend this company to all that have storage needs. 5/5!!! A friend recommended this storage facility and I can see why. I\'ve been renting here for a couple of years now and I\'ve never felt so secure that my belongings and valuables were safe. Harry & Carol\'s customer service is amazing, they never hesitate to go out of their way for you or even save you money if they can. The facility is always clean, the access hours are great and now I\'ve recommended this facility to a few friends and I was given a $30 credit for each one. Does it get any better? Carol and Harry have been in the storage business for a very long time and are experts. They\'ll give you the best of everything there is in the storage biz. They\'ll make you feel welcome and right at home. Heck, before you leave, they might even feed ya! My husband and I have been using River Crossing Storage facilities for over 6 months now. We have had nothing but great service from the staff. The Managers, Carol and Harry, are wonderful people that have done everything to facilitate our needs and more. They are very professional, and keep the facility very well organized and clean. The security systems in place seem to be very comprehensive, as well as the area being well lit at night. In all honesty we always shop around for the best pricing, however, we were treated so well from the beginning that we didn\'t even bother to look elsewhere. After a few months went by, our curiosity compelled us to look elsewhere for pricing (just for curiosity), and come to find out that River Crossing Storage has very competitive pricing. The Office and Gate hours cover a good portion of the day, and hopefully some day if possible can eventually become a 24hr facility. From what I\'ve seen, they truly care about their customers, and worry about the mighty dollar second. We recommend this place!